A mere 20 minutes' drive from my home is a bookshop I've spent the past two years not quite managing to get to. Work, play, housework, food shopping, bookshops elsewhere in the country, you name it, they've all got in the way of my jumping on the A21 for a quick drive. Then one Saturday while driving home from an afternoon with friends I got lost. At least, I'd thought I was lost. Instead it turns out my homing beacon was set to bookshop and – thanks to a red traffic light – I found myself stopped right outside the door of the bookshop I'd never quite managed to visit. It would've been rude of me not to park up and pop in. Just inside the door, by the window – which offers a surprising amount of light – is a cafe area, with a few tables, tea and coffee and a selection of cakes so tempting I regretted the big lunch I'd just eaten. Of particular note was one of the best looking Victoria sponge cakes I've ever seen, even before I'd explored the bookshop I knew I'd have to return another time to try a slice. For now, my appetite was firmly set to books. And a very satisfying experience it was: from the wall of general fiction, crime and thrillers, to the broad non-fiction which included particularly fascinating sections on art and science, topped off with a children's area overseen by a friendly-looking puffin. For a small commuter town, Sevenoaks has a surprisingly well-stocked bookshop. Even better, the bookshop was filled with the gentle chatter of browsers of all ages. From random book-buyers to those who'd popped in to place an order, customers were everywhere and the booksellers were always on-hand to answer their requests. It was a wonderful thing to behold and be part of – watching is never enough for me so I made the most of a brief quiet moment to ask for help choosing between two books. 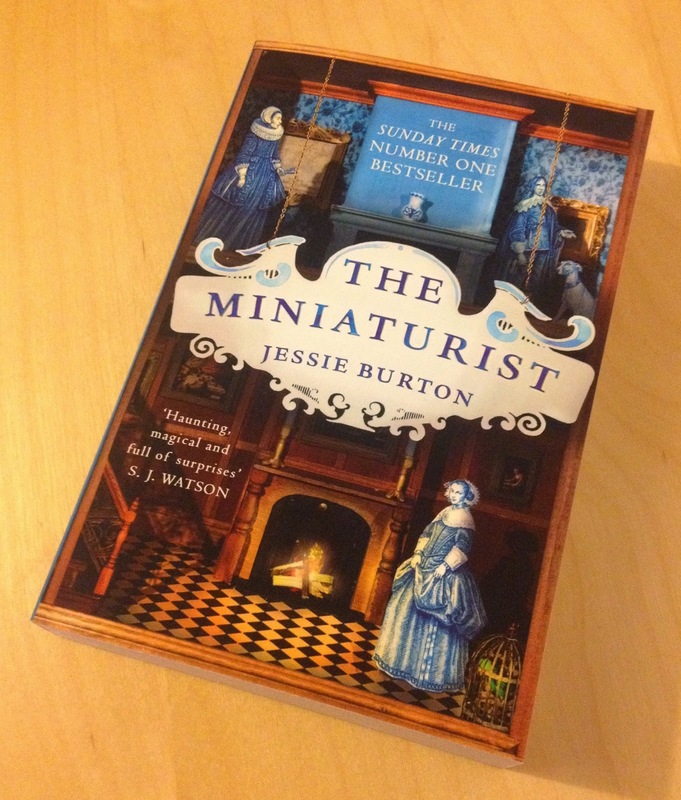 A fascinating discussion followed, with the bookseller eventually helping me settle on Jessie Burton's The Miniaturist. It may have taken a while for me to visit but I won't be waiting nearly so long to return. 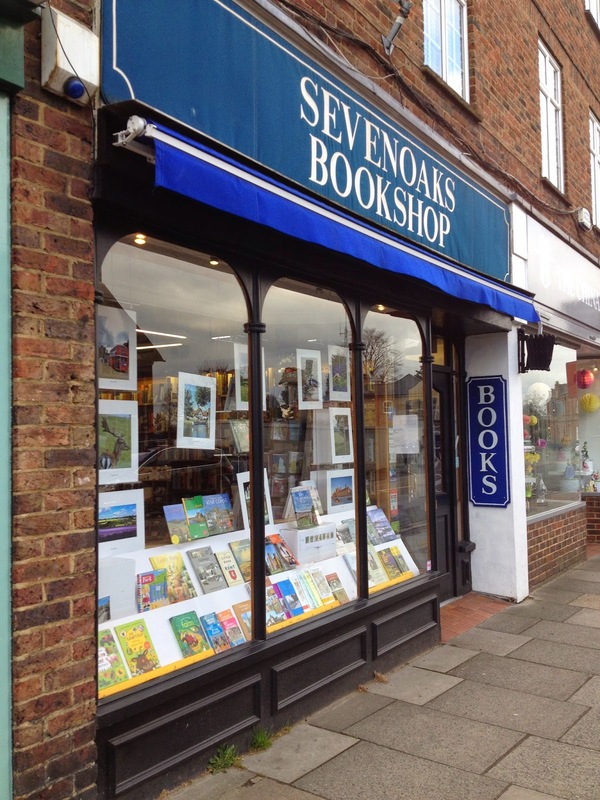 The combination of books and cake, complemented by the friendly buzz of fellow bookshoppers, means I've now found my local: next time I need somewhere to escape for a few hours, Sevenoaks Bookshop is where you'll find me. So pleased you have found a local! Having your book shop "Cheers" is really important. You're right, now I just need a free weekend so I can get back to enjoy it again! Very interested to read this; I remember the wonderful Krish family who used to own this bookshop. Really? Would you like to share any memories? Either here or by email?